“Sports officials were summoned to London this week by the Commonwealth Games Federation for “emergency” meetings after financial guarantees for the 2022 Durban Commonwealth Games had failed to materialise. The Games are to cost R6.3 billion and, in the current economic and political climate, questions were being asked about when the guarantees would be forthcoming. However, after the meeting with Louise Martin, head of the federation, the officials, from all three tiers of government and the South African Sports Congress and Olympic Committee (Sascoc) were confident all was on track. The guarantees need to be in place before the federation presents sports minister Fikile Mbalula with a “host city contract” to sign. In October Martin visited South Africa and met with the Department of Sports and Recreation and other stakeholders. At that meeting she imposed the November 30 deadline for the department to settle all unresolved issues. Naming a local organising committee for the 2022 sports spectacle in Durban was also urgent, she said. 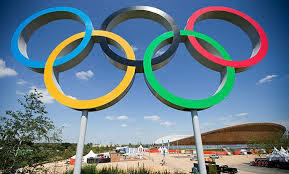 Sascoc chief executive, Tubby Reddy, who was part of the London meeting on Wednesday, said it had gone well. “We discussed the outstanding issues and our plans to finalise them before the deadline,” Reddy said. When Durban was awarded the host city rights in September last year, it was widely celebrated because of the potential financial boon it presented, not only for the city, but the country. The projected profit financial spin-off for the city is R20bn, as athletes and fans from all 70 member territories of the Commonwealth of Nations are expected to descend on the city. It was predicted it would attract 1.4 million visitors and 11 000 jobs would be created. However, there has been great consternation over the delays in acquiring all the guarantees. Durban has experience with hosting legs of major national sporting events, such as matches in the 2010 Fifa World Cup, various rounds of the IRB’s Rugby World Cup in 1995, and numerous games during the 1996 and 2013 versions of the Africa Cup of Nations. But this is the first time the city is standing on its own feet and is precariously close to losing hosting rights if sports officials and government do not up their game and deliver on time. A source said that during the emergency London meeting the delegation had been required to give detailed responses on money matters, rental and the usage of various venues and facilities during the games. Technical issues regarding venues, the role of the government, and the constitution of the organising committee were the other matters that were probed. The federation also questioned issues regarding standards at the proposed “athletes village” in Cornubia, near Mount Edgecombe. Guarantees required from other government departments, such as the National Prosecuting Authority, Receiver of Revenue, and municipalities that would be directly affected by Durban’s hosting of the games, were discussed. The source said that apart from the financial guarantees, the federation had expressed concern about how some plans in Durban’s bid document had since undergone significant changes. Mark Alexander, 2022 Commonwealth Games bid committee chairman and head of SA Rugby, said he was in Italy, busy with rugby commitments related to the Springboks match on Saturday, but he was convinced that all was well with Durban’s hosting of the games. “I’m sure we will put up the necessary funding. We wouldn’t have bid to fail. “Sport is business and is a big part of our country’s income. It contributes between 6 and 9 percent of our annual GDP.